As you can tell i adore cats , i'm crazy about them .... by the way my english is a bit poor , and i like to say ( them , he , she ) to refer to the cats . 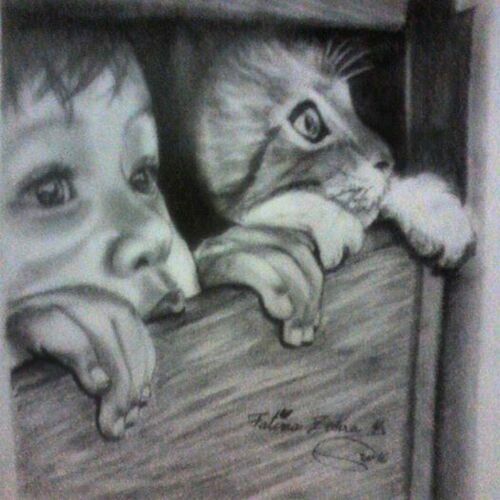 While people i know say( it) , i feel like it's wrong ... i do not know the correct way to say it , but they have souls you know ... anyway .. i had a cat and he went out once and never come back , which literally broke my heart . 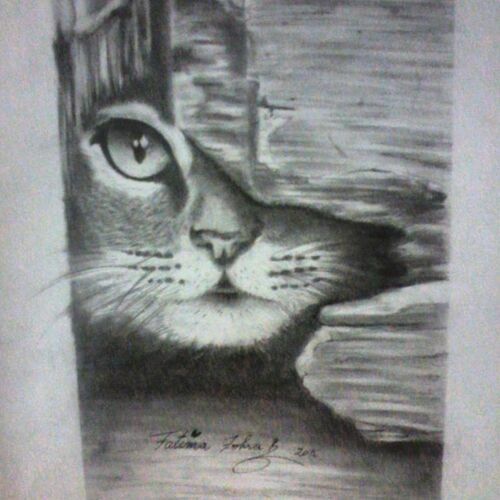 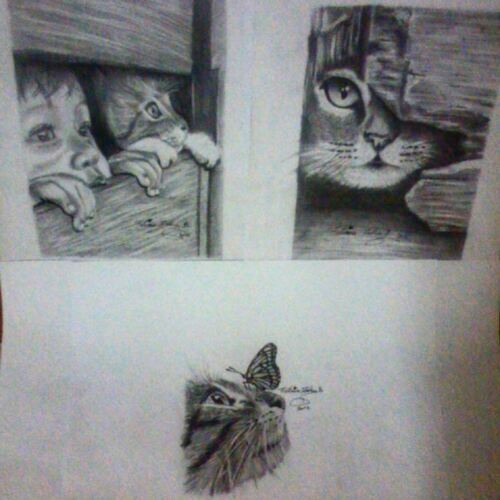 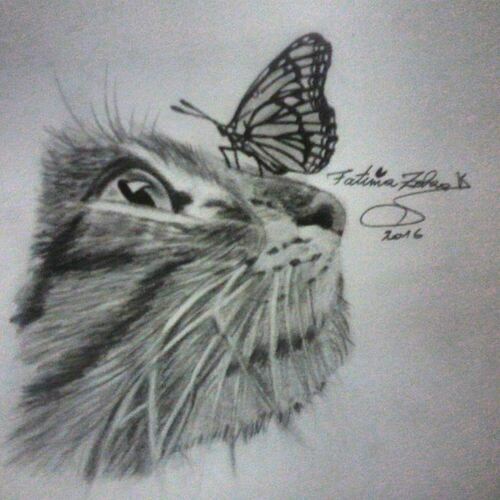 Oh well .. here are my drawings all about cats.